Library Books!!! This is my second library review! I am not sure if writing reviews is getting harder now that the initial excitement of setting up a blog has worn off, or if I am just choosing harder books to review – but this is the second book now where I have had a really hard time trying to figure out what I want to say. I guess the easiest thing, like most stories, is to start at the beginning. 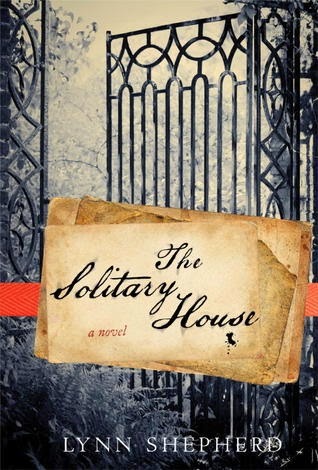 The Solitary House (or Tom All Alone’s as it is called in the UK) is supposed to be a ‘spin off’ of Bleak House by Charles Dickens. 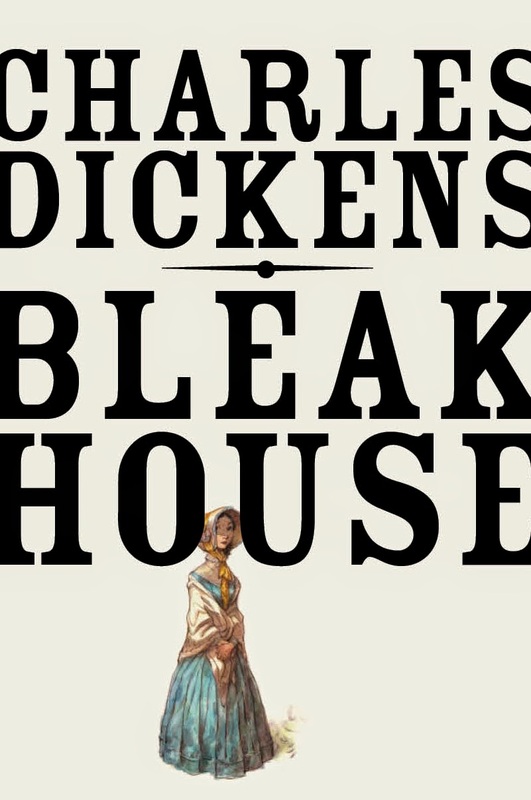 I have not read Bleak House; Dickens terrifies me – I have started David Copperfield more times than I care to admit (although, I must say that I loved Great Expectations). However, in anticipation of this review I have read up on Bleak House and I’m intrigued enough with The Solitary House right now to want to see Shepherd’s inspiration, but… the fact that it is about an extremely long court case, and is over 1000 pages long are giving me some doubt about whether I want to read it or not. Reading a spin-off is always a double edge sword; I think that for them to work really well the new author must truly love the original work – and want to keep the original authors voice as true as possible. Even then, I guess it depends on how close an interpretation is supposed to be. See! There is no real way to win. Now, to get back to the topic at hand; our story starts by introducing us to Charles Maddox, the second, an ex-detective and now PI, nephew of Charles Maddox, the ‘great thief taker’ a famous PI in his time. Charles is a great character, most of the time. He is endearing, smart, handsome and a little awkward and bumbling. He’s been kicked off the police force for going against a superior officer and now is a PI with no work except for one case, one incredibly difficult case, which everyone else has already given up on. He is looking for the long lost grandchild of a wealthy man who cast out his daughter when she got pregnant at 17. Everyone tells Charles to drop the case, but it’s a case that is eerily reminiscent of a terrible incident from his past and he just can’t let go. When Charles is hired by a well-known lawyer however, he jumps at the chance to make a little extra money and to maybe make a name for himself. From the get-go we know that something is off with this case, there are secret meetings, men hiding behind oriental screens, incomplete information; not to mention labyrinths, hidden rooms and deceptive mirrors. There is much more going here than meets the eye, and the key seems to be held by Lady Dedlock. About whom we know nothing…. Yet. Charles’ story is told in third person narrative and present tense, which seems to be a rather unique perspective. I am used to having a narrator, but this feels totally different from other books. Instead of feeling like I am just reading a story, I feel as if is being narrated to me, specifically; like I am watching the action take place in a snow globe and someone is kindly filling me in on the details. This is only enhanced by the fact that our unknown narrator is also adding in facts from current times, even though the scene we are watching takes place in the 1850s “A modern neurologist would say he had unusually well-developed spatial cognition combined with almost photographic memory function. Charles has more than a passing interest in the new advances in daguerreotyping, so he might well understand the meaning of those last words even if not the science behind them, but he would most certainly smile at the pretension.” For the most part, I don’t notice the tense, but sometimes it looms large and loud, and I am kind of loving it. I feel like I have been given a special privilege to witness these events. Interspersed between chapters is a first person narrative in the form of Hester; a young (? We are not really sure of her age) orphan who now lives with a generous guardian Mr. Jarvis and several other young men and women. I have no idea what is going on at this house. There is no reason given for Hester’s guardian taking her in, or any of the young orphans in his care, but there is a slightly creepy air given to their relationship. Hester seems to spend her days taking care of the other girls, but only as a companion, and the girls seem to come and go depending on the whims of Mr. Jarvis. Every time I read one of Hester’s entries I feel a little uncomfortable and desperately want to know what’s going on in her house. I have a feeling that she has something to do with the missing child, and I wonder if all three story lines (Charles’ two cases and Hester) will eventually connect, although I am assuming they must. There is something slightly off about this book though, and I cannot quite put my finger on it. I am enjoying reading it and enjoying the story – but I feel like I should be more invested in the characters at this point than I am? The problem is that I do not know why I am not invested in them. Shepherd has been really good at developing their personalities and I quite like Charles and most of the supporting characters... still. It is still only halfway through the book however; there is plenty of time for more character development and plenty of time for me to fall in love with them more. So I will definitely keep reading! Rumour has it (ok – I searched Goodreads) that all of Lynn Shepherd’s books are spin offs of famous classics (Dracula, Frankenstein, Mansfield Park, all of which I have read) and I think it would be cool to read the rest of them and do a compare/contrast – a Booker Tease challenge maybe? Today's tea is not one that I have actually tried - but it is one of David's most popular teas, and pretty appropriate for this post, I believe. Cream of Earl Grey is a vanilla-y spin off of the more traditional and widely known Earl Grey - apropos, no? This book is really fun. Like really really fun. I don’t know what it is about the 80s that makes them so much fun to reminisce about, but there is just so much culture there! Are all decades like this? Is it just because that’s the decade that I started in, so it means more to me and all of my generation? Do our parents care about the 60s and 70s as much as we care about the 80s? Luckily for me, this book is chock-a-block full of the 80s, with a smattering of 90s and 2000s thrown in, even though it takes place in 2044. The book starts when multi-billionaire James Halliday, the creator of a massive mmorpg (massively multi-player online role-playing game) Virtual Reality world, dies without any heirs. Now the world at this point is a pretty scummy place and the OASIS is where anyone can go to escape reality. People have jobs on the Oasis, kids go to school, people get married… its hundreds of thousands of different worlds where anyone can be whatever they want to be. Hallidy, a very eccentric recluse has died and left a little Easter egg (a video game term for hidden content – usually something fun) inside the Oasis, somewhere, and whoever finds it inherits his MASSIVE fortune. The world basically goes nuts trying to find it, but for 5 years nothing happens and for the most part the hype dies down, except with a group of egg hunters known as the Gunters. Then, suddenly, an 18 year old gunter figures out the first clue, and the world goes nuts once more! The story reads like a movie script (which makes sense, Cline was a screenwriter before writing Ready Player One, and actually sold the movies rights to the novel before it was even published). It’s fast and punchy and fun (have I mentioned that already?) Hallidy, like his creator Ernest Cline, is obsessed with the 80s and has recreated worlds inside the Oasis that resemble all of his favourite 80s movies, tv shows and games. There are innumerable references – The Goonies, Speed Racer, Mad Max, Star Trek and Star Wars, REM, Bon Jovi, Monty Python, He-Man and She-ra…. Every John Hughes movie, and to find the magic Easter egg one must know all of this culture inside and out. Wade Watts, our unlikely hero knows it all. He’s a kid from the wrong side of the tracks. His mom and dad are both dead and he is being ‘raised’ by his moms sister Alice, who only keeps him around for the extra food stamps. He lives in ‘the stacks’ which is literally a trailer park where the trailers are stacked one on top of another. There are parks like this over the entire country, rows and rows and rows of trailers piled miles high. There are horror stories of one stack falling over and taking down the whole park like an evil game of dominoes. Wade longs to leave the stacks and spends hour upon hour hooked up to the Oasis, where he attends school and attempts to find Halliday’s Easter egg and make something of himself. No adventure story would be complete without a good bad guy though, and with IOI (Innovative Online Industries), we have a pretty decent despicable monopoly. IOI is a company that is trying to obtain control of the Oasis – they want to start charging user fees and they want to have control over all of its content, and they are willing to stop at pretty much nothing to get there. They have teams of people learning all of the 80s lore, specialists in every field, they have found every loophole possible to winning and exploit them as much as possible… and when Wade starts to figure things out on his own they will stop at nothing to either recruit him, or destroy him. And that’s pretty much where I am right now. Wade has beaten the first gate (clue), along with 4 others – Aech, his best friend on the Oasis; Art3mis, the girl (maybe? There is speculation she may be a 63 year old man named Chuck) of Wade’s dreams; and two Japanese brothers…. IOI is after him, but beating the first gate, first, has its perks and Wade is determined to evade them. 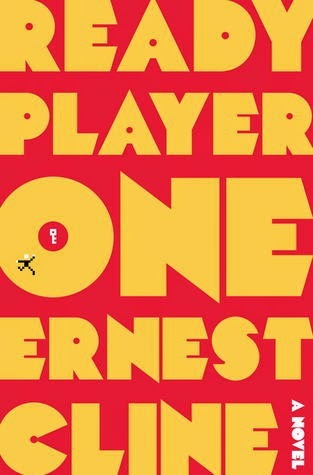 I must say, Ernest Cline has written a great story. I do have a few minor issues – mostly I find that Wade doesn’t really talk like an 18 year old boy… but I have been informed that this is probably since the story is told as reminiscence, so he’s really speaking from whatever age he actually is… I’ll buy this – but it doesn’t really matter as it is not affecting my enjoyment of the book at all. I think the thing that I am appreciating the most about this right now is how accessible the writing is. I am not sure what genre I would categorize this book under, but probably mild cyberpunk? A genre that I have tried many times before and it can be hard! Cline is writing about the future, which means that a lot of the tech he talks about does not really exist yet (although it pretty much does…. Oculus Rift anyone?) and he does a brilliant job of explaining it in a way that I can visualize pretty easily. He doesn’t get too extravagant in making up new tech – it’s only 30 years away after all – but just seems follows the natural progression that technology is already taking. We’ve heard of most of the stuff he mentions, or at least we’ve heard of something like it. My favourite aspects of this book are all of the pop culture references. It’s not just the 80s that Cline bombards us with. Pretty much every geeky thing that’s popular today, or anytime in the last 30 years, makes an appearance; Firefly, Will Wheaton, The Matrix, Rush, Cyberpunk , Pac Man, Vonnegut, Back to the Future, Cowboy Beebop . It’s all thrown in there, and while I didn’t get ALL of the references, I did get a little thrill every time I recognized something, and quite a few references elicited a little giggle. The story may be a tad bit predictable… I am willing to put money on the fact that Wade ends up winning the game (although not without lots of obstacles), but I don’t think the point is to throw us off our game – this is an adventure story, it’s a coming of age story, it’s the quest that every little kid dreams of! I, for one am hooked, line and sinker, and can’t wait to keep reading and questing! It was easy for me to match a tea with Ready Player One - Read My Lips from David's. Its little bit sweet and a little bit spicy, but more importantly - It has little red candy lips, which totally remind me of the hot lips candy and my childhood. Appropriate for this story, I believe! This review is a pretty exciting thing for me - its my first library book! I have been volunteering at the library for the past month, and I plan on starting to use it more. There are an awful lot of books that I want to read, and definitely not enough room in my apartment - so library books will be very helpful! I am hoping to bring you a library review at least once a month. Enjoy! 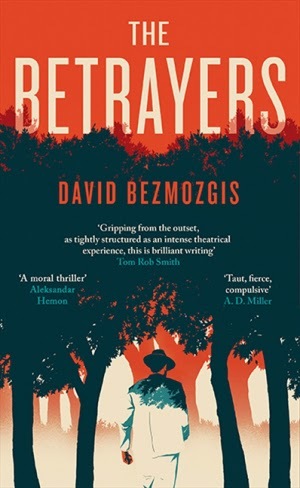 I am not sure where to start with my mid book review of David Bezmozgis’ The Betrayers. It’s a fairly small book – only 225 pages, so it didn’t take me very long to reach the mid-way point. It’s also possible that I read it so quickly because I am not completely sure that I understood it - there are a lot of politics in this book! The book starts off with an elderly man and his quite-a-bit younger companion attempting to get a room in a Crimean Hotel. Baruch Kotler is a soviet Russian dissident and a disgraced Israeli politician on the lamb with his mistress Leora, one of his staffers. They are not able to get a room, so end up taking a room in the house of a Russian woman and her Jewish husband. There is much made of the fact that the woman’s husband is Jewish; Kotler taking it as a sign of something and his companion, Leora reluctantly and wearily giving in. I am enjoying the story so far, even though I am definitely not following all of the politics. I have tried doing a little research, but I am not even completely sure what I am looking for. The story seems to revolve around the Israeli/Palestinian conflict as well as Russian Zionism. Kotler is a Jewish cabinet minister who has been publicly opposing the prime minister and a Zionist hero who, years earlier, spent 13 years in jail for treason after being denounced by a KGB plant. His current predicament has come about as a result of the opposition of the current government – news of his affair has been splashed all over the papers, leading to his desertion of this wife, son and daughter. The story gets interesting when the owner of the house that Kotler and Leora are staying at turns out to be the man who decades earlier betrayed him to the KGB. Vladimir Tankilevich is a sad, bitter old man for whom life has not turned out well. And now believes that Kotler has come to gloat about his success, while Kotler believes that he has arrived at Tankilevich’s house by divine providence. And that brings us to the middle. While I am finding the story interesting, I really think I would be getting more out of it if I knew more about Israeli politics or Russian Zionism. As it is, I don’t know much so the political part of this story has really just been in the background for me. I do think it is a little cliché that the old man has run off with his beautiful young secretary, although Bezmozgis makes a comment on this as well – about all the old men running around with young women nowadays. The thing that I don’t understand is why Kotler has decided to run off with Leora in the first place. He doesn’t seem like the type of man to back away from a fight, which he says himself before the news ‘goes viral’. “… I will be as clear as I can. I spent thirteen years in Soviet jails and camps fighting for my right to come to Israel. If you or the people you represent think that I can be intimidated by this sort of KGB thuggery you are mistaken.” So why has he run away? I get that it needs to happen to further the story, but I will need a little more than that. The history is definitely interesting however, and I am enjoying learning about a culture that I have not been much exposed to. I believe the old adage goes “don’t meet your hero, they’ll only disappoint”; this story turns that around to don’t meet your betrayer. As we all know, people are never what we think they are, and you never know what is going on on the inside. I’m not sure that the bad guys are who we think they are in this story – there is a lot that we don’t know yet, and I am interested in learning more about Tankilevich’s history. He claims to be a devout Zionist, but then why was he working for the KBG so many years ago? It certainly hasn’t turned out in his favour, and he doesn’t seem to have profited from it at all. I know that this is Kotler’s story, but honestly, I am not terribly interested in him. He may have been a hero, but at the end of the day, he is a cheater who has deserted his family. I think that Tankilevich is the real reason to read this book – and the reason that I will keep reading. Ok. So, here’s what I know. Two cousins have done something pretty horrific (I know what it is, but I am not going to spoil it for you), some of their parents know, but not all. One of the parents seems to have a secret of their own with one of the kids (this one I don’t know). One of the parents is completely bitter and resentful, and one of the parents is a VERY well-known politician. I feel like I’ve pretty much been told all of the big secrets... but… the blurb on the book compares this to Gillian Flynn’s GoneGirl, so I am assuming (although we all know where that leads) there must be some pretty big surprises in store. I must say, I was not enjoying this book for the first 100 pages. The entire book takes place over the course of one dinner with two brothers (Paul and Serge) and their wives. The first quarter of the book is mostly Paul’s inner self complaining resentfully and bitterly about Serge, with occasional interruptions by waiters with detailed descriptions of the food being presented to the couples (I will say that while Paul was driving me nuts… the descriptions of the food were making me pretty hungry… but really, I’m pretty sure that I am mostly always hungry anyway). 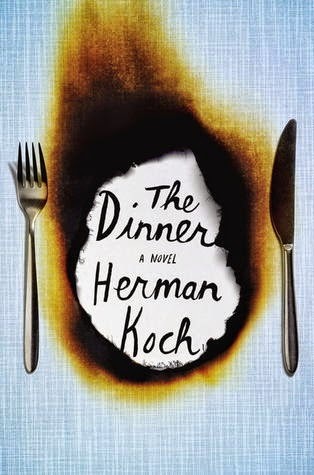 There is a lot made of the restaurant and the staff and the food, about how it all tries too hard – I am pretty sure that Koch is trying to make a comment on today’s society, as well as serving as anticipation for the actual story, but I found it forced and contrived – Koch just ends up trying too hard himself. It seemed like the whole first quarter of the book was contrary for the sake of being contrary. I also noticed the weirdest thing, there is a lot of ‘product placement ’in this novel. Paul’s son wears a Nike cap, has an iPod Nano, and a Sony phone; his wife wears DKNY shoes, Paul has a Samsung phone, added as an aside. At dinner they talk about the new Woody Allen movie starring Scarlett Johansson. It all seemed rather strange and too real to me. Now don’t get me wrong, I don’t have any issues with ‘realness’ in books, but this was weird, like they had been added in after and the author was trying to endorse these products. It detracted from the narrative and left me feeling like the author was trying to sell me something. However! At about Chapter 18, things start to pick up. We know already that Paul has seen something terrible on his son’s phone, and we learn now that he already knew about the crime that his son had committed – but has elected to not do anything about it. There are hints (alright – it’s made fairly obvious) that Paul may not be the most stable man, leading me to believe that the 100 pages of Paul’s discontent was supposed to lay the groundwork reasoning for future decisions. I am not sure that the 50 odd pages I enjoyed can make up for the first part – but I am interested to see where this is going. I haven’t learned anything yet about what the other parents know, and whether or not they want to actually deal with the situation, so there are still some definite mysteries to be solved. I keep reading that this story is about how far people will go to protect the ones that they love – but while this intrigues me, it also makes me nervous. The characters are already pretty unlike-able… how bad can it get? Upon consultation with my fellow book club member, I am wondering if I have judged The Dinner too harshly up to this point. Maybe all the product placement and forced narrative is not the author’s voice, but the narrator Paul’s voice. Maybe, like I guessed at earlier, we really are being set up for something big, and Koch has done a brilliant job of really showing us this story from the head of a really despicable character. As my cohort pointed out – we are normally okay with unlike-able characters because they are often a secondary character – so we still get to root for the narrator, or main character…. But who do we root for here? I must say, I am much more intrigued now; I want to know how this is going to end, and whether or not anyone will redeem themselves. So far, this book most reminds me of Swamp Water - a special edition rooibos tea from David's Tea. It changes colour as the tea steeps - going from normal tea colour to a dark green. The colour change reminds me of the characters in this book where things, and people, are not always what they seem. Daphne du Maurier has always seemed like quite a shadowy figure and it seems that Rebecca has always been on my peripheral. 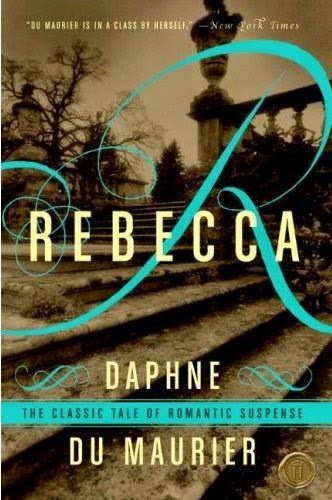 Rebecca is one of my mother’s favourite books, and that of my favourite podcast host, Simon of The Readers, who is obsessed with Rebecca and Daphne du Maurier and mentions both in every episode. So I thought, might as well give it a try. Before starting, I attempted to recall what I knew of both Rebecca and Ms. du Maurier. I knew Rebecca was suspenseful, but wasn’t sure if it was a thriller or a romance. I knew about Mrs. Danvers – and thought that she might be a villain, but wasn’t completely sure. To be honest, Ms. du Maurier herself, Mrs. Danvers and Mrs. Havisham (yeah that’s right – from Great Expectations) had all become muddled in my head. Du Maurier was this vague mysterious figure, I had no idea what she looked like, but I pictured her in the same way that I pictured Mrs. Havisham; rich, reclusive and a little bit nuts; which is exactly how I pictured Mrs. Danvers. Honestly, I wasn’t even sure that Daphne du Maurier was a real person. All of this pondering made me desperate to read Rebecca. Why did I think all of these things, where had my impressions come from? Turns out Rebecca is a bit of a cult classic. Most people have heard of it, some have read it and most of those have loved it. Most have not read anything else by du Maurier. Most know nothing about her. And it turns out that my thoughts on her were pretty accurate. She was rich, she was pretty reclusive, and she may have been a little bit nuts. Her Wikipedia page is pretty interesting – she was a Lady and Dame, she was accused of plagiarism multiple times (with no really firm resolutions) and might have possibly been a lesbian. Du Maurier has woven a story that is somehow slow and dramatic and sinister and lovely all at the same time. The story begins at the end and creates a brilliant air of mystery. Something terrible has happened and our narrator and an unknown man have been forced from Manderley. I loved this opening sequence, and I loved the scenes set in Monte Carlo – where our unnamed narrator recalls falling in love with the rich and handsome Maxim de Winter who is grieving for his dead wife Rebecca. I very much identified with the narrator – her fear, her lack of confidence, the way she completely ignored Maxim’s attentions as being anything more than pity. Of Maxim de Winter himself, I was reserving judgement. He did seem to care for the girl, but there was a certain detached indifference that I felt went beyond mere grief. These fears were confirmed once he and his new wife return to Manderly. It’s clear from the beginning that Maxim has no real interest in his new wife, other than having a place-holder for the position of wife. This is also where I started to get a little annoyed with our narrator. I completely understand her fear and everyone is treating her rather terribly, but I’d like to see her with a little more backbone and a little less simpering. Manderley itself, the house and the grounds are wonderfully described. Du Maurier infuses the spirit of Rebecca into every garden, every room, even the towns people. Our narrator is constantly reminded of how unlike Rebecca she is, how every room is decorated just to Rebecca’s taste. Rebecca’s ghost haunts the walls, the rooms, the furniture, the family and the staff, including the devoted Mrs. Danvers. Mrs. Danvers is absolutely terrifying. In this first half of the book she doesn't have a large role, but she is always there on the sidelines, with her face like death and creepily kind ways. Even though she doesn't have a lot of screen time (page time?) you just know that she is totally bonkers. At my last reading, our narrator has decided to finally explore Rebecca’s west wing, is caught by Mrs. Danvers, who has forced her to touch and feel and caress all of Rebecca’s old brushes and clothes and even her nightgown. I thought the entire scene brilliant. Before Mrs. Danvers appears our narrator talks about how musty and stale the room feels, yet Mrs. Danvers rejoices in how fresh it is, like Rebecca is only gone out for the evening. The book has so far been full of subtleties of this kind. There is meaning hidden everywhere and lends itself to a thoroughly enjoyable read. At mid-point the tension is rising and I have no idea what is going to happen. I have no idea who is with our narrator at the end, I am not sure that it’s Maxim. Du Maurier does a wonderful job of weaving the tension and suspense behind beautiful descriptions of the gardens and the mundane of everyday life. I am desperate to know what is going to happen, made even more desperate by the fact that nothing seems to be happening! I know there is a mystery, but I have no idea why or how!